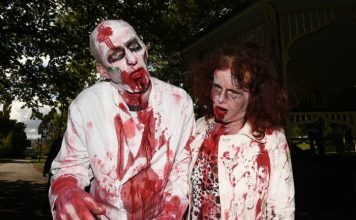 Some people have an almost religious approach to mowing their lawn, drawing a fair share of enjoyment from the process. It is because of them that mower manufacturers are constantly striving to improve the technology to best suit people’s needs and it’s easy to see how far lawn mowers have come over the years. We now have self-propelled mowers, mulching mowers, riding mowers, push mowers, weed eaters, and a variety of other mowing equipment to choose from and the list seems to be getting bigger every year. Even so, push mowers remain among the most popular devices out there and it’s easy to see why. 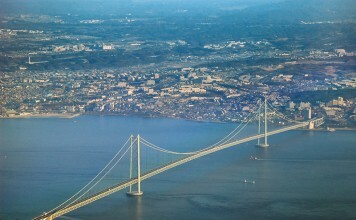 Not only are they very affordable, but they also require very little maintenance overall. Let us then find out what are the ten best push mowers out there and what makes them so good to begin with. 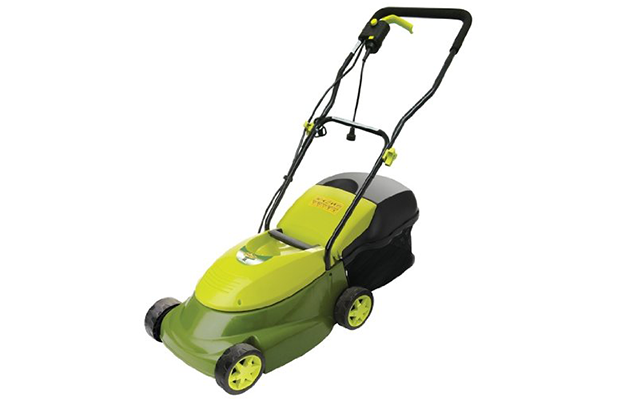 Equipped with a T-Style handle and a 16-inch cutting area, this lawn mower will help you mown small to medium lawns in no time. 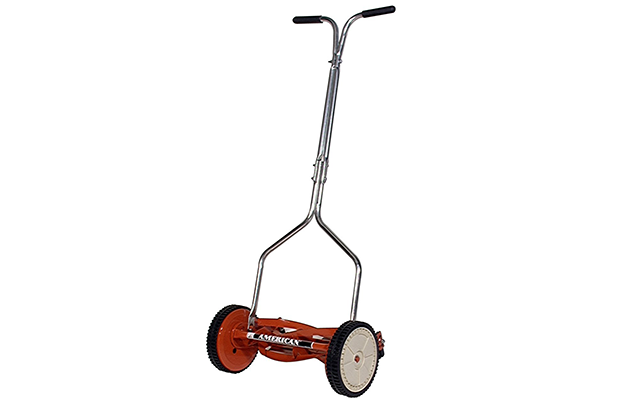 It features 7 heat-treated, tempered allow steel blades, 4 spider ball bearing reel, and 10-inch ball bearing wheels for greater maneuverability. Thanks to its coated finished handle, it will last you longer than most push mowers, preventing it from rusting anytime soon. 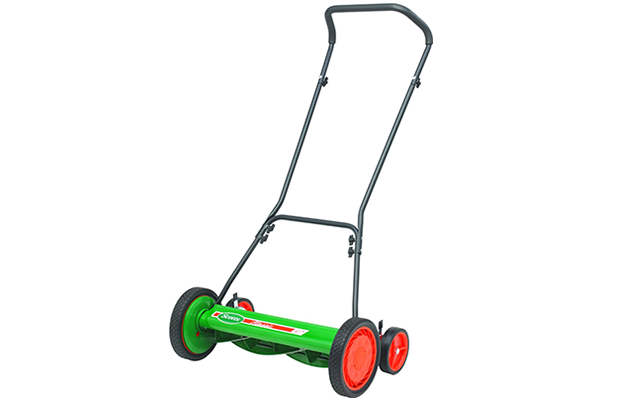 Perfect for mowing small to medium-sized lawns, this particular mower is unlike traditional push mowers as far as functionality goes and we say this in a good way. First of all, it has a 140cc Powermore OHV engine that will help you mown surprisingly large areas in no time while its 7×7″ wheels on the front and rear offer you the maneuverability required for quick turns and spins. 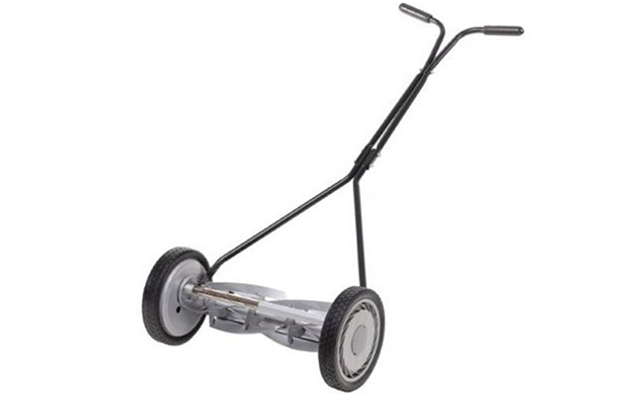 It also features a 20″ steel deck with manual height adjustment and a loop handle for added comfort. 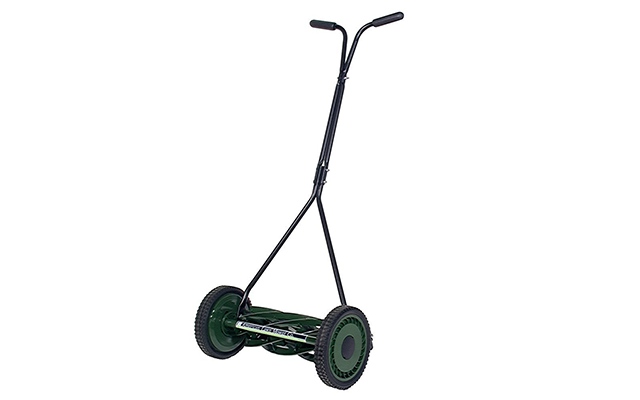 This push mower was designed to cut low-growing, creeping grass at heights between 1/2 to 2-1/4 inches. It has an adjustable 7-section roller and 3-position adjustable wheel heights along with a very easy to grip handle for good measure. At the same time, it features 10-inch composite wheels with radial tread tires, a 1-inch welded torsion bar frame, painted flare-style cushion-grip handles, and a 16-inch cutting width. Equipped with a Briggs&Stratton 5-1/2-torque, 140cc gas powered engine, this is one of the most powerful push mowers on the market. It has a 21-inch cutting width, which is quite impressive as far as push mowers go and 3 in 1 cutting capabilities including side discharge, mulching, and a rear bag. Furthermore, it is a carb compliant mower with a 2-year limited consumer warranty designed to provide consistent mowing performances in the long run. 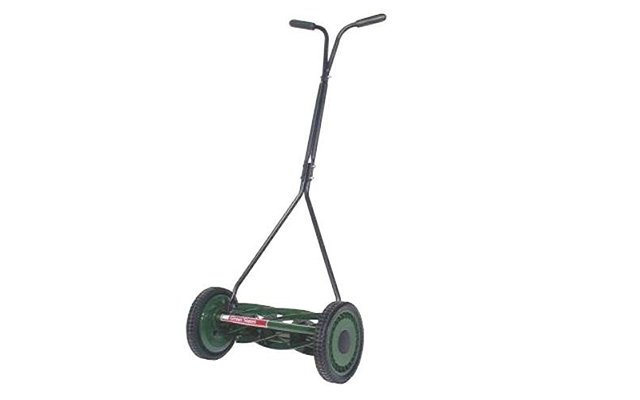 This hand reel mower is designed to be extremely useful when dealing with turf grasses, mainly due to the fact that it provides a clean, precise, scissor-like cut. 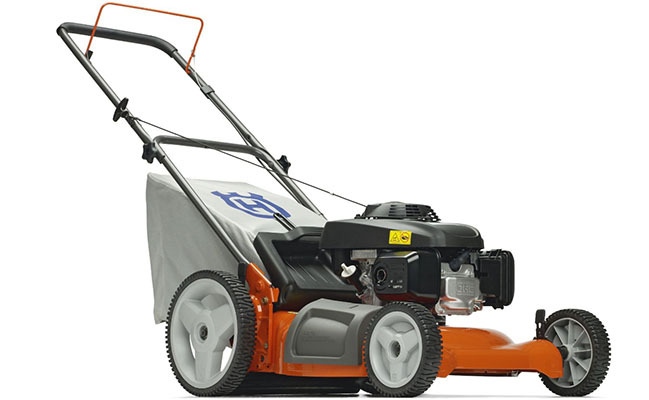 It has an alloy steel construction that may require some assembly beforehand, but overall, it is one of the best traditional push mowers out there. 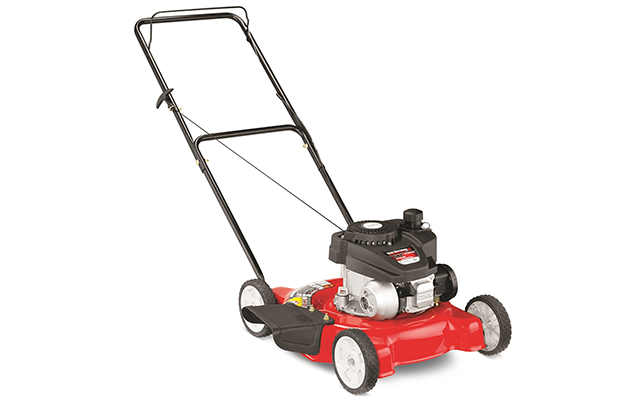 We should also point out that this mower has an 8″ diameter high impact cutting area equipped with 3-spider, 1-blade reel, and an adjustable roller for greater maneuverability. The 2000-20 push reel lawn mower from Scotts is a classic push mower equipped with a 20-inch cutting reel, 10-inch dual tracking wheels, and rugged radial tires for durability. It has 9 grass heights to choose from controlled by quick-snap height adjusters that determine how long or short the mower’s 5 heat-treated steel blades will cut the grass. 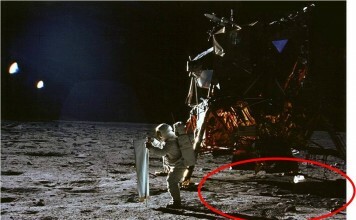 At the same time, we should point out that this particular mower is quite affordable given its versatility. 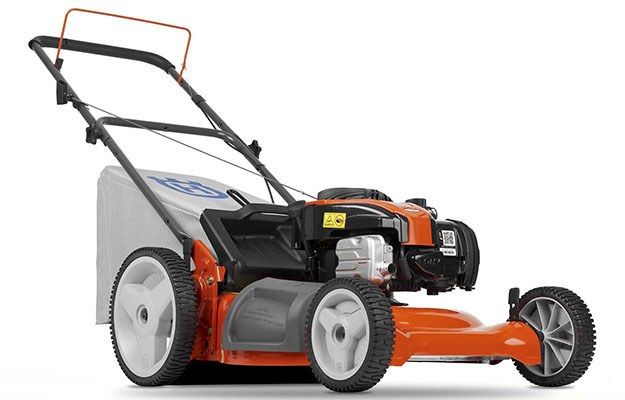 Husqvarna’s 7021P is a fairly large push mower which despite its size, is very maneuverable and easy to operate. It features a 160cc Honda GVC160 gas-powered engine that powers a very efficient 21-inch cutting area. It also has a 3 in 1 cutting system with mulching capabilities, side discharge, and a rear bag for comfort. Furthermore, its 12-inch rear wheels increase maneuverability considerably despite the terrain while its adjustable handle makes up for a more ergonomic operation overall. This is a standard push reel lawn mower in more ways than one, a design that people have been accustomed to for generations. Affordable and sturdy, this lawn mower has a 16-inch cutting width area, 10-inch ball bearing wheels, and an easy height adjust system that lets you choose between 1/2-inches and 2-3/4-inches depending on your needs. At the same time, it has a powder coated handle and heat treated blades that aren’t likely to get rusty or blunt too soon. Equipped with a powerful 12 amp electric motor, this particular lawn mower will handle any medium to large lawns with ease. It has an easy start button that gets the mower running instantly, without the struggles most people have when dealing with gas-powered mowers. As far as mowing goes, it has a 3-position height adjustment system that goes up to 2-2/5 inches and a hard-top grass catcher that you can detach when disposing of the accumulated grass. 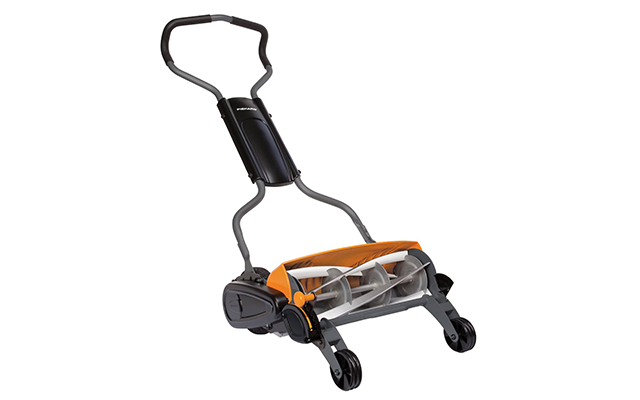 The Staysharp Max Reel Mower from Fiskars is one of the most efficient push mowers out there. Thanks to its patent-pending InertiaDrive system, it is at least 60% easier to push than other reel mowers, while its cutting reel delivers almost twice as much cutting power as standard mowers. We should also point out that it benefits from an exclusive StauSharp cutting system that doesn’t require the blades touching at any time, ensuring a greater blade durability. Last but not least, its Inset wheel design offers close side edging along with a grass discharge chute designed to throw clippings away from the machine and of course, away from yourself. 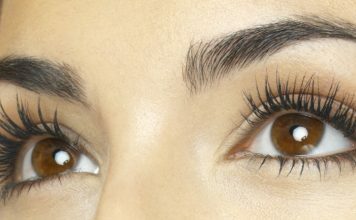 How to Make Eyelashes Grow?